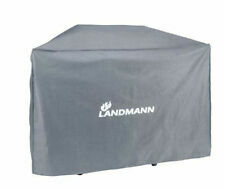 1 x Bbq grill cover. 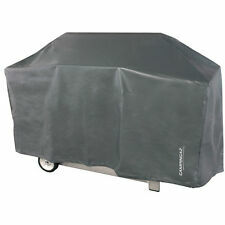 Waterproof grill cover protects your grill from rain, dust, leaves, etc. Round shaped cover for most round gas / electric grill option. Material: Durable waterproof polyester. Note: Light shooting and different displays may cause the color of the item in the picture a little different from the real thing. Deck Jig & Screws. Waterproof, dustproof, wipe-clean surface. Work Support. Double-laminated, UV-stabilised, 100gsm woven polyethylene. Product Images. Woodworking Projects. Ventilation & Air Conditioning. For sale cadac stratos 2 burner bbq cover. (May fit other 2 burners check size before buying) Heavy duty weatherproof uv resistant vinyl with Velcro closures. The shape of BBQ cover is a rectangular gas/electric barbecue grill. Waterproof, dustproof, sun block, durable protection, handing sewing work well. Material: Durable Waterproof Polyester Material. Heat resistance, corrosion resistance. Durable and strong ,the best choice for your BBQ burners. Protect you BBQ burner from dust and sun, keep it clean and new. Shaped for most rectangular gas/electric barbecue grill. Good handing sewing work. This fabulous quality cover will look after your gas bottle, protecting it from rust, keeping it safe for use. This beige cover is made from a top quality polyester, with high thread count (300x250D) and coated with a water repellent PVB coating. Kettle BBQ Cover. Protect from rain and dust. Die neue Premium Abdeckhaube 7117 von Weber schützt Ihren Q100/1000 zuverlässig vor unterschiedlichsten Umwelteinflüssen wie Schmutz, Nässe oder Schnee. So sind die Premium Hauben unter anderemUV-beständig, wodurch diese auch starke Sonneneinstrahlung problemlos aushalten ohne löchrig und porös zu werden. Weber Factory OEM Q Vinyl Cover fits Baby, Q100, Q120, Q1000, Q1200, Q, Q200, Q220, Q2000, Q2200. Light Duty protective grill cover made of durable vinyl. Custom fit Factory OEM Cover. FOLDABLE & EASY CARRY : The cover can easily to fold into a bag that it is convenient for you to carry everywhere, the Oxford Cloth material is more durable than the ployester, stronger construction. Finished in a stylish green and complete with a drawstring to help secure the cover. If there's a problem, just let us know and we will fix it. Made from strong, woven weather proof material. 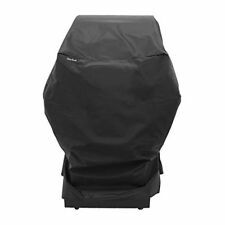 This premium quality, heavy duty, waterproof BBQ Cover by Sashtime is Weathergard treated for a long life Features: Color: Black Condition: Brand New Size: 56 "(W) x 24"(D) x 46.5"(H)(143 x 61 x 118cm) Material: Durable Waterproof Polyester Material Waterproof, dustproof, sun block, durable protection, handing sewing work well The shape of BBQ cover is a rectangular gas/electric barbecue grill. Adjustable tie through the built-in plastic grommet to ensure that the cover under dry conditions It suits for the protection of both the BBQ grills and the small motorcycles/ battery carts/ bicycles. Protects your BBQ from rain, snow, frost, dirt, dust, bird droppings etc. Hot Reusable Rain Snow Shoe Covers Waterproof Boot Protector Overshoes Anti-slip. Equipped with elastic binding on the bottom for a secure fit. The Cover is UV treated to prevent it from fading and has a. Kettle Barbecue. Waterproof finish which will protect it from rain. The cover is manufactured from tough woven fabric & quality stitching for long life. 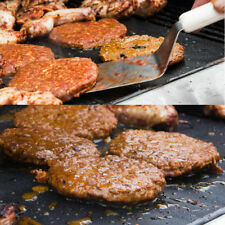 The shape of BBQ cover is a rectangular gas/electric barbecue grill. 1 x BBQ Cover. Waterproof, dustproof, sun block, durable protection, handing sewing work well. Material: Durable Waterproof Polyester Material. The Cover is UV treated to prevent it from fading and has a. 3 Burner Barbecue. 130 cm X 74 cm x 61 cm. Waterproof finish which will protect it from rain. The cover is manufactured from tough woven fabric & quality stitching for long life. 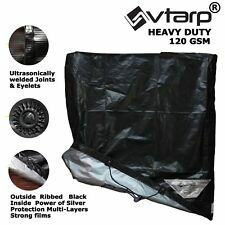 Material: Dacron Color:Black Unfold Size: S 145 (L) x 61 (W) x 117 (H) cm / 57 x 24 x 46in The cover protects your barbecue from rain, dust, sun. waterproof cover for a kettle grill. lasting protection and tending the sewing adjustable Tie through the plastic eyelet integrated to ensure that the cover functions in windy conditions. Easy to wash and clean. Part of the Simply Cover range. Cord locks to keep the cover secure. Wipe clean. Waterproof finish protects from rain. UV treated to prevent from fading. Easy to clean & folds flat for easy storage. Easy to clean & foldsflat. Tough woven fabric & quality stitches for long life. Heavy duty ties for easy fixing. 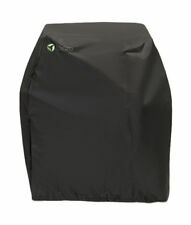 This waterproof barbecue cover is made from a durable plastic that is portable, easy to use and clean, designed to fit most barbecue grill units, and will ensure that your bbq charcoal grill is always dry and ready to use. 100% Brand new high quality polyester cover; Provides ultimate protection for most gas or electric grill.Comes with water-repellent PVC coating; Weather-resistant from snow, hail, rain, wind, bird droppings etc.Bottom drawstring closure for customized and tight secure; Double stitches for great durability.Wipes clean with mild soap and water; A free drawstring-closure bag for easy carry and storage.Color: BlackMaterial: PolyesterCover Size: 190x71x117cm / 75 x 28 x 46 inch (L X W X H)G.W. : 0.38Kg / 0.8 LBPlease Note: Please wait until the barbecue is completely cooled down before applying the cover.Packing List:1x BBQ Cover1x Storage BagNote: Light shooting and different displays may cause the color of the item in the picture a little different from the real . Heavy duty Premium cover features 18mil polyester fabric with sun fade protective liner. Sealed seams for water ressistance and UV protection for fade resistance. Wetterschutzhülle für Grillwagen. schützt den Grill zuverlässig vor Wind und Wetter. mit Zugband. und wetterbeständig. ca. 90 x 60 x 115 cm (BxTxH). Black BBQ Cover with grey trim. Heavy duty polyester cover. Below are the features ofLarge Patio Set Cover. Heavy duty Large Patio Set Cover. Includes tie cord for easy fixing. This Pation Set Cover is made of tough 130gsm UV treated woven fabric, fully waterproof protects from rain, dust and sunlight. 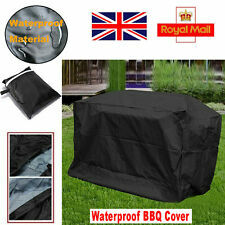 Waterproof Trolley BBQ Cover. Heavy duty tarpaulin material. Size. : 55 X 53 X 91 cm Aprox. LINT MAGIC BRUSH FLUFF PET HAIR CLOTH REMOVER CLOTHES Spins Head 180 Degrees. 2 X Rolson Magnetic Tape Size. : 706mm X 12.5mm Great for DIY Work. · SIZE: W x D x H ( 124cm x 73cm x 90cm ). Highly Durable BBQ Grill PROTECTOR. 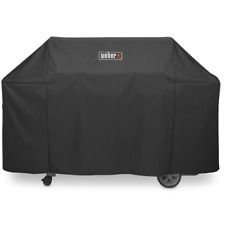 · Highly Durable & Waterproof BBQ Grill Cover. BBQ Covers SPECIFICATIONS. Cover Your Bar Bq Grill With our Waterproof &.